Three principal varieties can be found at the mattress stores in San Diego these days. Those are foam mattresses, innerspring options, and hybrids, which is to say a combination of innerspring technology and foam layers. Generally speaking, it is the hybrids that are the most expensive, while the innerspring mattresses are the cheapest. As for the different types of foam mattresses, the cost varies depending on the size you’re getting, the layers of foam inside them, and the company through which you are going, as some high-end types are much pricier than lesser-known names. Innerspring mattresses are also sometimes called traditional mattresses just because the innerspring technology is something that has been available for much longer than any of the foam options. Older generations will remember a time that innerspring types were all that was available for purchase at mattress stores in San Diego. While some people have embraced the new technology, others still opt for the innerspring mattress because of its familiar look and feel. If you prefer the innerspring mattress to a foam or a hybrid variety, these are some of the best picks in that category if you’re about to go shopping for a new one. The Saatva is probably the best overall innerspring mattress that you’re going to find on the market today. It has three different firmness options, and it comes with a 120-night sleep trial so you can get an idea of whether it’s a good fit for you. The 15-year warranty isn’t as good as some of the others that are out there but is still respectable. It conforms closely to the body and offers good pressure relief for an innerspring mattress. What sets the Saatva apart from some of the other contenders is the excellent support around the edges. One of the unfortunate drawbacks of the innerspring mattress that San Diego residents often notice is that there is not much support if you are sitting on the sides of the bed with your legs hanging over. Saatva has solved this problem with a reinforced framework around the edges of the mattress. If you want a new innerspring mattress, then Saatva should be high on your list of possibilities. The Allswell mattress sleeps medium-firm, and you get it for a 100-night sleep trial. It has a 10-year warranty, which is less than ideal, but it has excellent edge support and most of those who have tried it swear by it. What’s often cited is how cool it sleeps due to pocketed coils in the support core. They allow for good airflow, and the motion isolation technology is also reasonably good for an innerspring mattress. Noise, when a sleeper changes position, is one of the most common reasons that some people choose to abandon innerspring mattresses for foam ones, so this matters to a lot of individuals who sleep with partners. The price at which you are looking for an Allswell is going to be tough to beat, which is why some people still prefer innerspring types even with newer technology on the market. Those who will do best on an Allswell include stomach and back sleepers as well as heavier individuals. If you “sleep hot,” then you may also want to give this one a try. The WinkBed is probably the most luxurious innerspring mattress model you are going to find in San Diego. It has three firmness options, and it comes with a 120-night sleep trial. 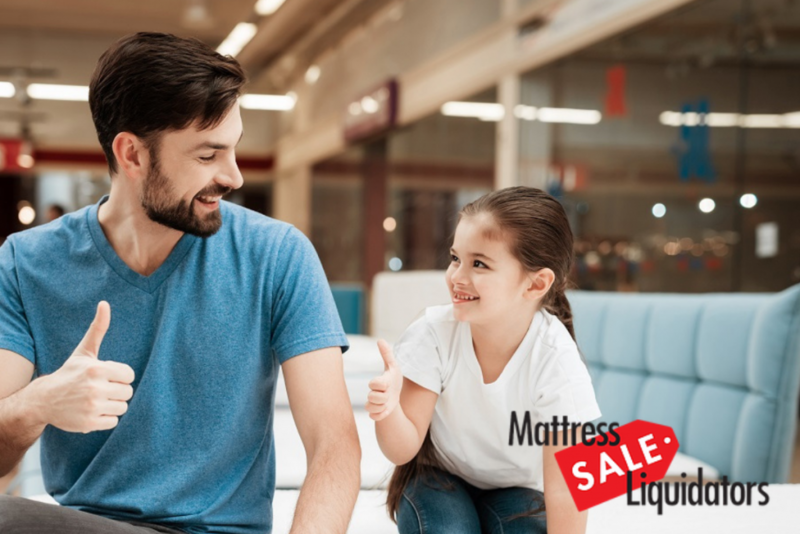 You get that coveted lifetime warranty that only a few mattress companies offer, and along with good motion isolation comes pressure relief and close conforming capabilities. The WinkBed is a luxury option, and those who sleep in virtually all positions are likely to find it acceptable. The comfort support system boasts layers of gel poly foam and regular poly foam in addition to multiple micro-coil layers. There’s also a lumbar pad for those who need extra back support. Taller and heavier people are very high on the WinkBed because of its consistent body support. Motion transfer is isolated quite a bit, and your aches and pains will likely be a thing of the past. It would be difficult to get a better innerspring mattress than the WinkBed, but you are going to pay more for it than you would for some of the other options that are available. You have to pay for quality, as they say. The Helix Midnight deserves mention because it’s probably best for lighter sleepers in San Diego. It is medium-firm and comes with a 100-night sleep trial. Depending on which variety you get it comes with either a 10 or a 15-year warranty. The Helix Midnight is such a hit with lighter sleepers (those less than 130 lbs) because it has a comfort system comprised of a pocketed support core along with a memory foam comfort layer that was designed specifically for them. The Midnight is great for lighter sleepers who like an average or a thicker-than-average profile. Lighter back pain sufferers will likely find this to be the best option of those we listed as well. The innerspring mattress is regarded as a staple by many people, and it seems unlikely that they will ever make the jump to foam varieties. If that’s your choice, then that’s fine, as there are several innerspring mattresses that should be suitable for nearly everyone in San Diego. Hit the mattress stores and try some of them out and your quality of sleep will hopefully improve. Also, if you have your eye on one of these models, but the price is prohibitive, you can sometimes wait for the deal you want and snag one of the high-end ones around the holidays for cheaper than they normally are. Unless it is a genuine emergency and your old mattress has collapsed or sustained water damage, then waiting a little while to get the mattress of your dreams is not the worst idea. Either that or you might be able to set up a payment plan with certain stores if you can’t afford to put all the money down at once.